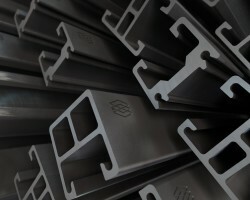 Read about developments at Alphastrut® and the latest industry news. Alphastrut® will be exhibiting its market leading aluminium products for the offshore oil & gas sector at the Abu Dhabi International Petroleum Exhibition and Conference (ADIPEC) from November 12th to 15th 2018. 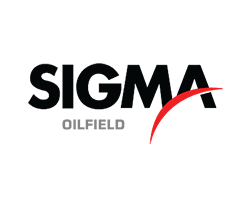 Alphastrut® is delighted to announce that it has reached an agreement for Sigma Enterprises (Oil Field Division) to act as its sales agency in the United Arab Emirates. 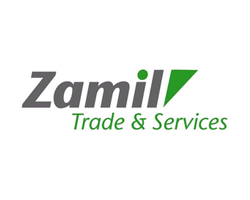 Alphastrut® is pleased to announce that it has reached an agreement for Zamil Trade & Services to act as its sales agency in the Kingdom of Saudi Arabia. Alphastrut®, the leading supplier of aluminium support systems and handrails to the offshore oil & gas sector, is exhibiting at the Abu Dhabi International Petroleum Exhibition and Conference (ADIPEC) 2017 from November 13th to 16th. 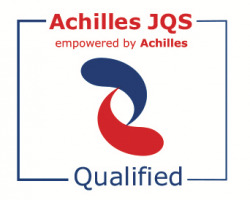 Alphastrut® has strengthened its position as a supplier to the European offshore oil & gas sector by being approved for the Achilles JQS supplier register and pre-qualification system. Alphastrut®, the leading supplier of aluminium support systems and handrails to the offshore oil & gas and marine sectors, has further expanded its operations by opening an office in the key territory of Norway. 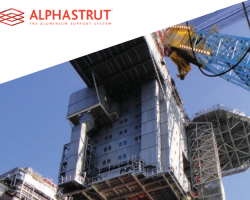 Alphastrut®, the leading supplier of aluminium support systems and handrails to the offshore oil & gas and marine sectors, is exhibiting at ONS 2016 in Stavanger, Norway from August 29th to September 1st. 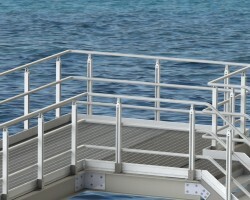 Alphastrut® has launched a new brochure showcasing its range of aluminium raised access floor, overhead service support and handrail systems for offshore and marine environments. 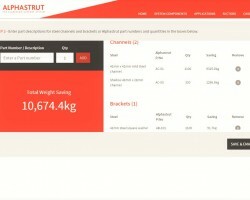 The Alphastrut® aluminium support system offers a considerable weight saving over conventional steel systems - and to show you exactly how much, we have launched an online weight saving calculator. Alphastrut® is pleased to announce that its new high-strength, corrosion resistant aluminium handrail system for marine and offshore oil & gas applications has been awarded DNV GL certification.